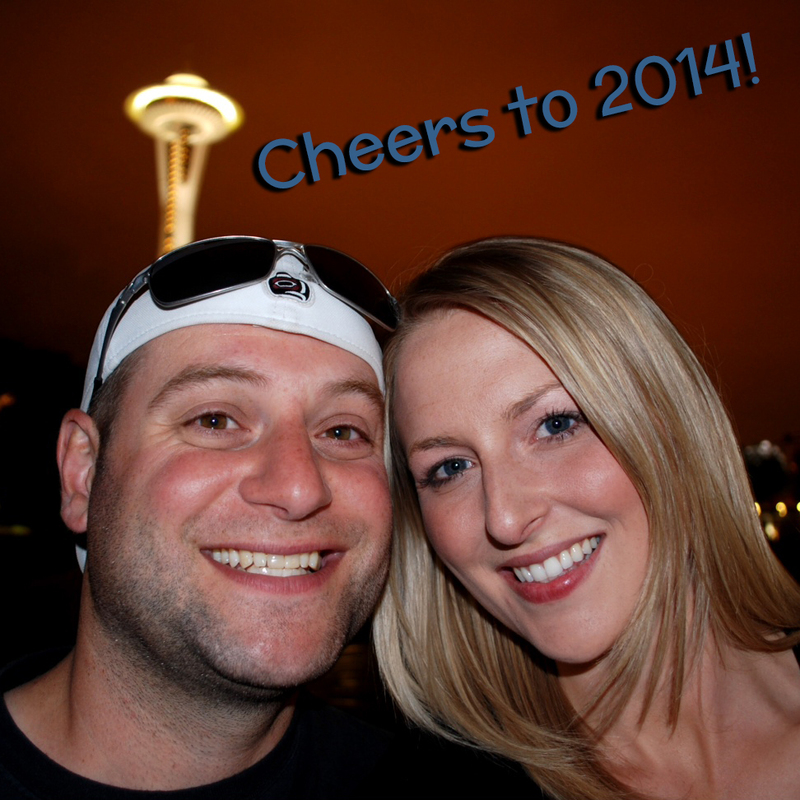 It’s hard to believe the year is winding down, but here we are writing the Seattle Bloggers | 2013 Year in Review. It’s been an amazing year filled with incredible adventures and surprises. We only started Seattle Bloggers in June, so this should technically be the Half Year in Review, but we feel like we created enough memories to easily fill 365 days. 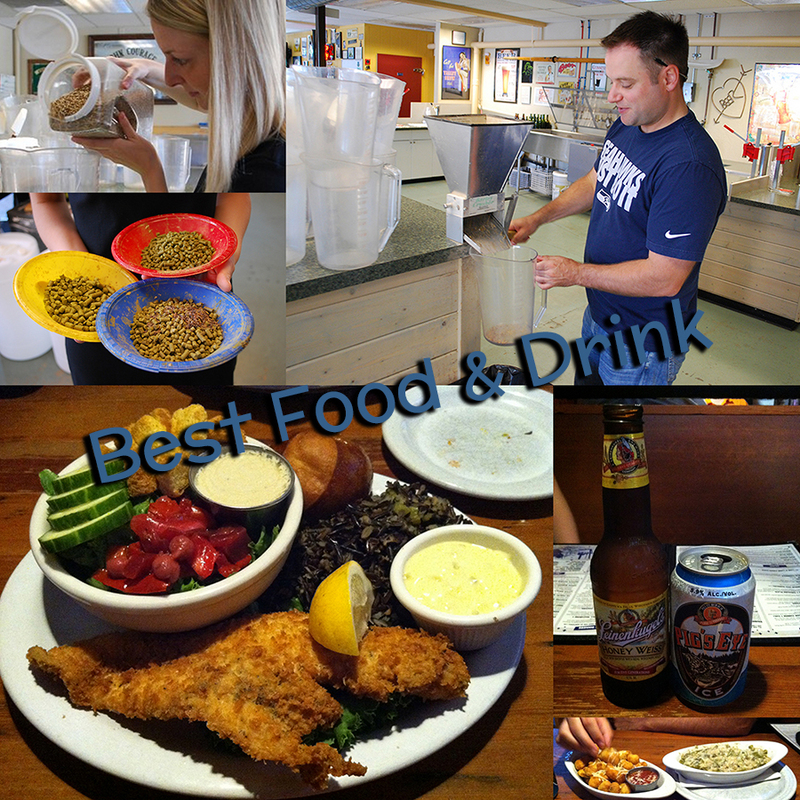 From best food to biggest surprises, we selected eight categories for our Seattle Bloggers | 2013 Year in Review. It wasn’t easy to do (since there were so many awesome options to choose from), but we both picked our favorite experience in every category. 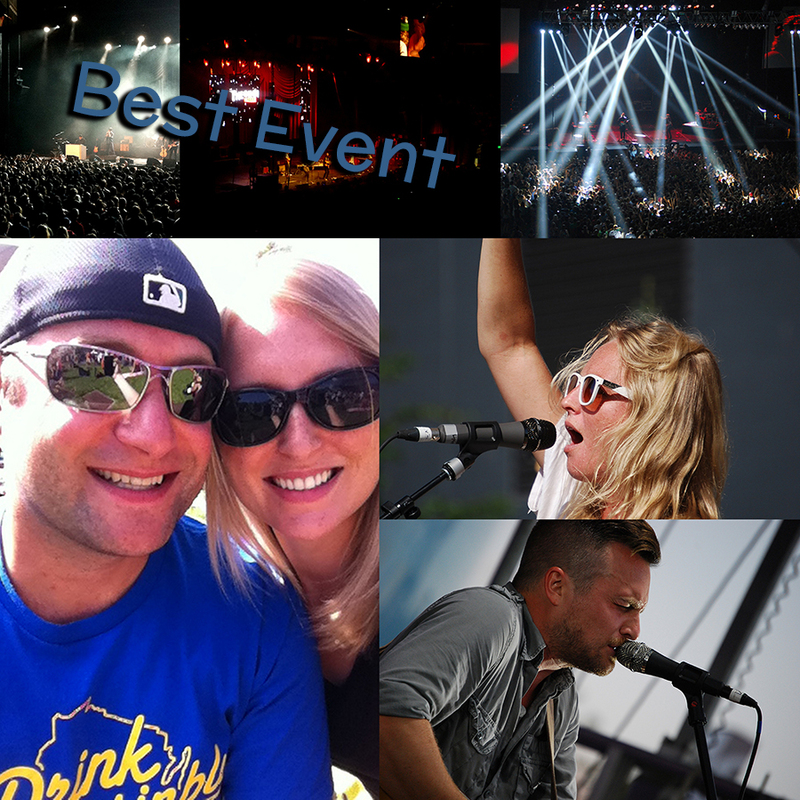 Without further ado…here is the best of the best from 2013! Tove: I love being in the kitchen and one of my favorite ‘kitchen’ experiences this year was learning how to brew my own beer at Gallaghers’ Where U Brew. With more than 50 recipes, all of the ingredients you need, and a helpful staff, Gallaghers’ is a must do, especially since you walk away with your own batch of beer to take home. Tim: I was born in Milwaukee and most of my family still lives in Wisconsin. I love to call Seattle home, but I often miss my roots in the Midwest. That’s where Zayda Buddy’s comes in! It brings the best of America’s heartland to Ballard. With cheese curds, walleye, Midwest beers, and much more, it’s a little piece of home away from home. Tove: Tim and I spend more time at Woodland Park Zoo than any other attraction in Seattle. Every visit is different and the animals are always unpredictable. It’s been my favorite Seattle attraction since I was a little kid and continues to be my favorite spot to visit well into adulthood. With so many animals giving birth recently, Woodland Park Zoo (and all of the babies!) was a highlight of 2013 for me. Tim: It’s no surprise — Pike Place Market is easily one of the coolest places in Seattle. Aside from Woodland Park Zoo (like Tove mentioned), I find myself at Pike Place Market more than any other attraction in Seattle. With produce and seafood from local farmers to fun shops and restaurants, Pike Place Market is one of my favorite places to wander around throughout the year. Tove: This may end up being my favorite event every year because every year Deck the Hall Ball knocks me off my feet. For me, it’s the best way to kickoff the holiday season. Each year, some of the best musicians and up-and-coming bands hit the stage at KeyArena and get people rockin’ for 7+ hours. Tove: Seattle is known for its outdoor recreational activities, but this year my favorite experience happened indoors. iFLY Seattle is unlike anything I’ve ever experienced before. This indoor skydiving facility is fun, exhilarating and a little nerve-racking. I’m looking forward to more visits there in 2014. Tim: There are several great golf courses around the Puget Sound, but one of my new favorites is Chambers Bay in University Place. 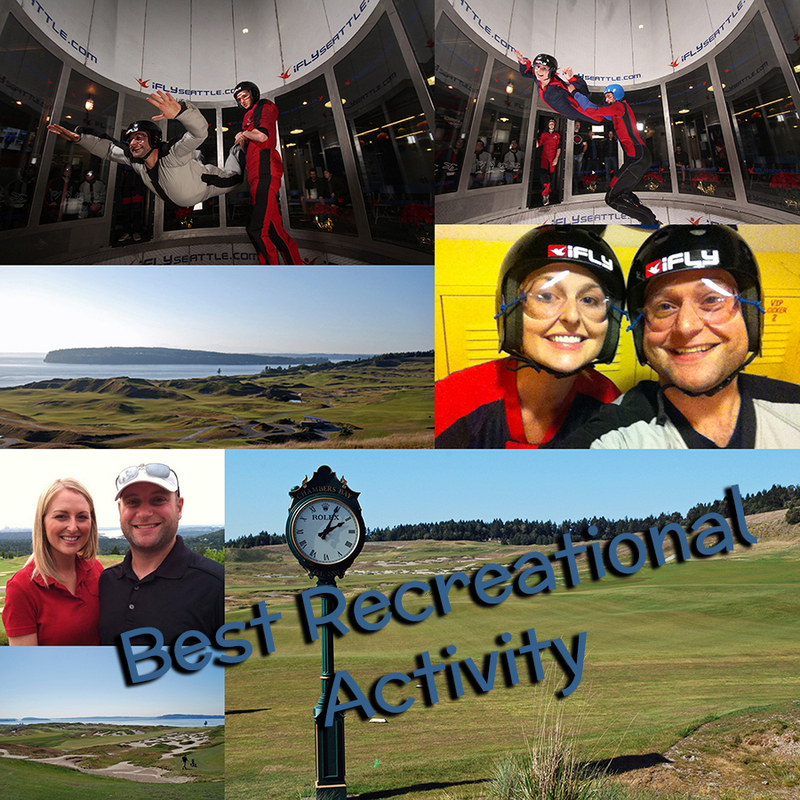 Home to the 2015 U.S. Open, Chambers Bay provides a unique golfing experience. Located on the waterfront, Chambers Bay is a true links-style golf course with tons of sand and only one tree (that’s not even in play) on the entire property. Tove: Tim and I decided to visit Port Townsend for a weekend on a whim. With no plans (we didn’t even book a hotel until we arrived in town) and no expectations, we had an incredible and relaxing weekend in this coastal town located less than two hours from Seattle. From a funky hotel, to whale watching, local beer, tasty restaurants and beautiful sunsets, we plan to go back every year. Tim: It’s hard to beat four full days in Vancouver, British Columbia. Located about three hours from Seattle (depending on the line at the border), Vancouver offers an awesome international experience that’s really close to home. 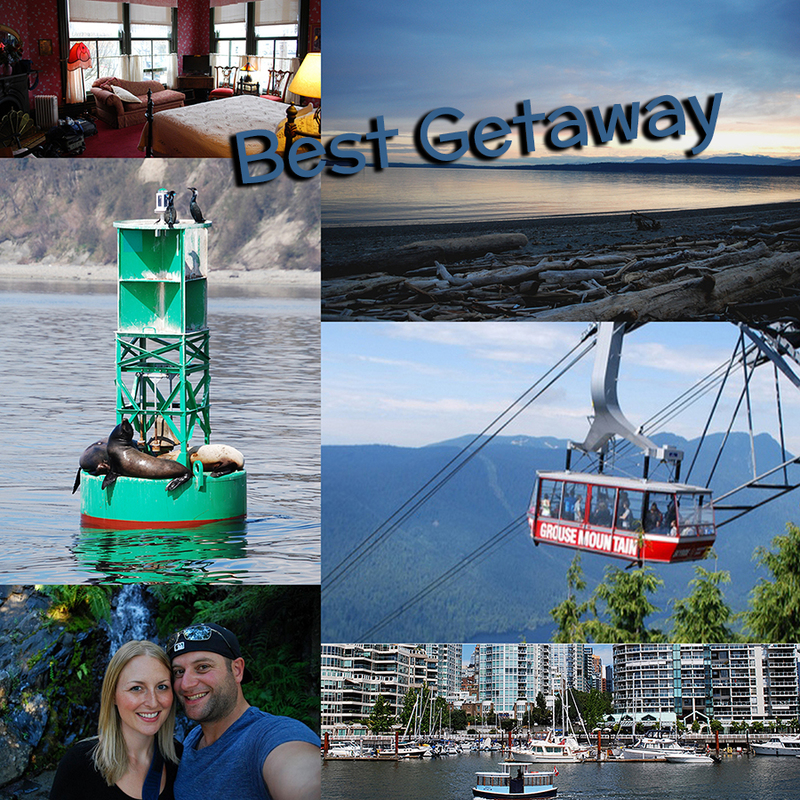 Stanley Park, Grouse Mountain, and Granville Island highlighted our Vancouver adventure. We’re both itching to go back to British Columbia as soon as we can. Tove: A good date is all about the company. Having Tim around makes me one lucky girl. 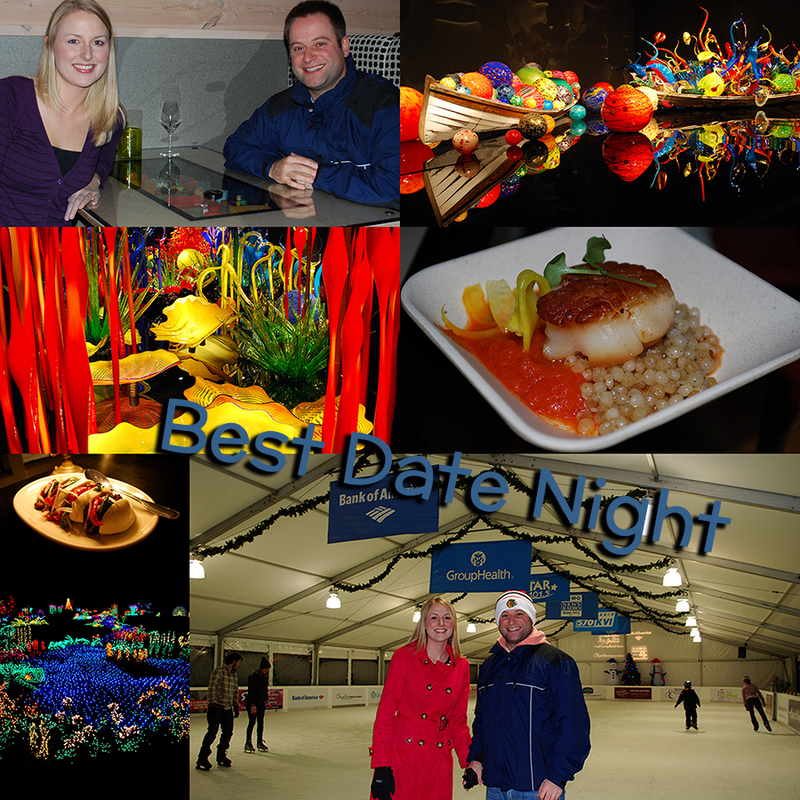 With so many wonderful dates in 2013, it was hard to pick just one however our Chihuly Garden and Glass date night definitely stands out from the rest. There’s nothing better than wandering through Chihuly Garden and Glass at night, followed by an incredible meal at Collections Cafe with the one I love. Tim: We’ve shared some awesome date nights together (many that we didn’t even write about for Seattle Bloggers), but my favorite was our holiday date night in Bellevue. With ice skating, Snowflake Lane, Christmas lights at Garden de’Lights, and an amazing dinner at Black Bottle Postern, it was the perfect way for us to get in the holiday spirit together. Tove: I loved discovering the view of Seattle from Dr. Jose Rizal Park. I actually found out about the park through a picture on Twitter. Being the curious types, Tim and I checked it out pretty quickly and were glad we did. We’ve visited Rizal Park several times in 2013 and love the view of downtown Seattle, Safeco Field, CenturyLink Field, Columbia Tower, The Great Wheel, Elliott Bay, the Port of Seattle and more. 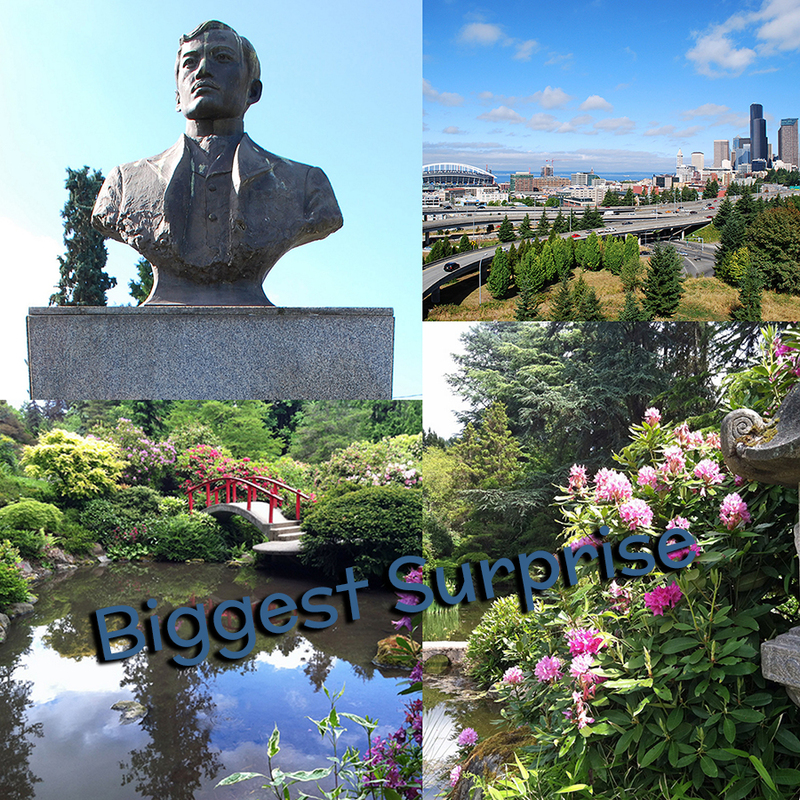 Tim: There was no bigger surprise to me this year than Kubota Garden in Rainier Beach. I honestly had no idea a place like this even existed in Seattle. The large Japanese garden is not far from the hustle and bustle of the city, but it makes you feel like you’re in the middle of nowhere. With flowers, ponds, waterfalls, and plenty of walking paths, Kubota Garden is a great place to spend an afternoon. Tove: Tim and I are notorious for hopping in our car with no plan. We love seeing where the ride takes us. One of my favorite days from 2013 was a random drive we took around West Seattle. We ended up exploring several beaches including Lowman Beach Park, The Cove and Normandy Park. We then capped the night off with dinner at Scotch and Vine in Des Moines. The waiter told us they seek to provide a high-end meal for people who don’t want to drive into downtown Seattle. It was an incredible dinner paired with the perfect wine and scotch. Tim: We’ve started a tradition with my sister and brother-in-law called ‘Random Wednesday.’ We usually pick a restaurant we really want to try, go to a concert we’d like to see, etc., on a Wednesday when we’re all available. It’s led to some fantastic memories. No ‘Random Wednesday’ stacks up to the one we had at Lloyd Martin (1525 Queen Anne Ave. N.) on Queen Anne, though. It was a no tweeting/no pictures night for us (we all need a break once in a while), but I easily had one of the best meals I’ve ever eaten there. It was a bit pricey (we got out of hand with the wine), but Lloyd Martin was well worth every penny. We had a lot of fun putting together our Seattle Bloggers | 2013 Year in Review. It’s fun to look back on all the awesome experiences we’ve shared together in 2013. It’s hard to believe we crammed all this stuff into one year (seven months when it comes to the blog). We are beyond blessed. Thank you to everyone who supported us this last year, and made some of these adventures a reality. We truly appreciate our family, friends, and you — our amazing fans! 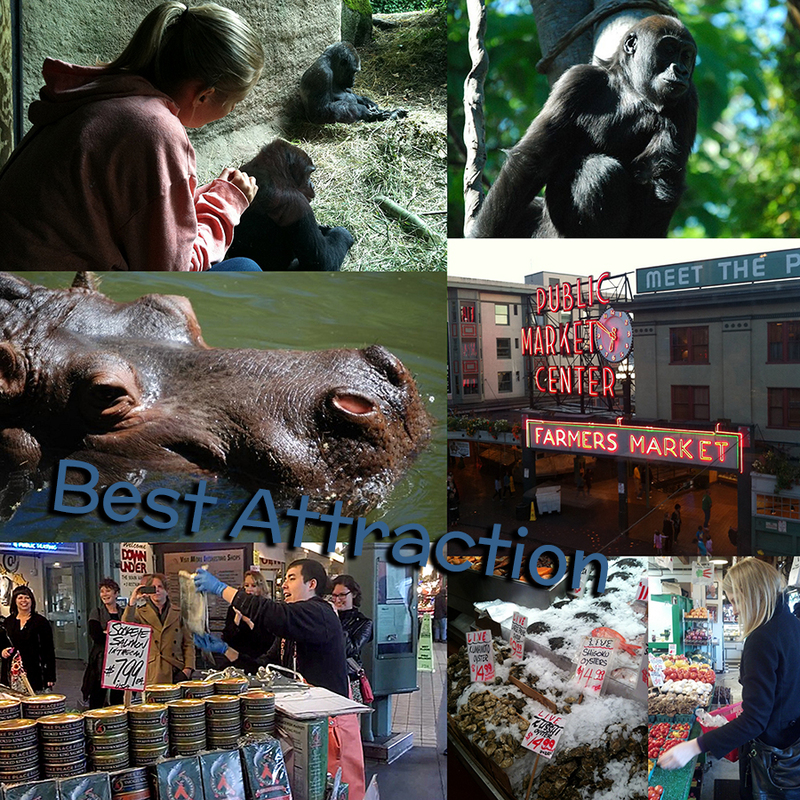 What do you think of our Seattle Bloggers | 2013 Year in Review? What was the best adventure you went on in 2013? We’d love to hear from you! Please leave a comment below and connect with us on Twitter, Facebook and Google+. Your interaction is what makes this blog so much fun for us. Don’t forget to also check out Seattle Bloggers for more cool things to check out in Seattle and around Puget Sound in 2014! Very nice post. We’ll be relocating there in a little less than a month and are excited about exploring the area. This post already provided a good handful of options. As always, thanks for sharing your adventures.